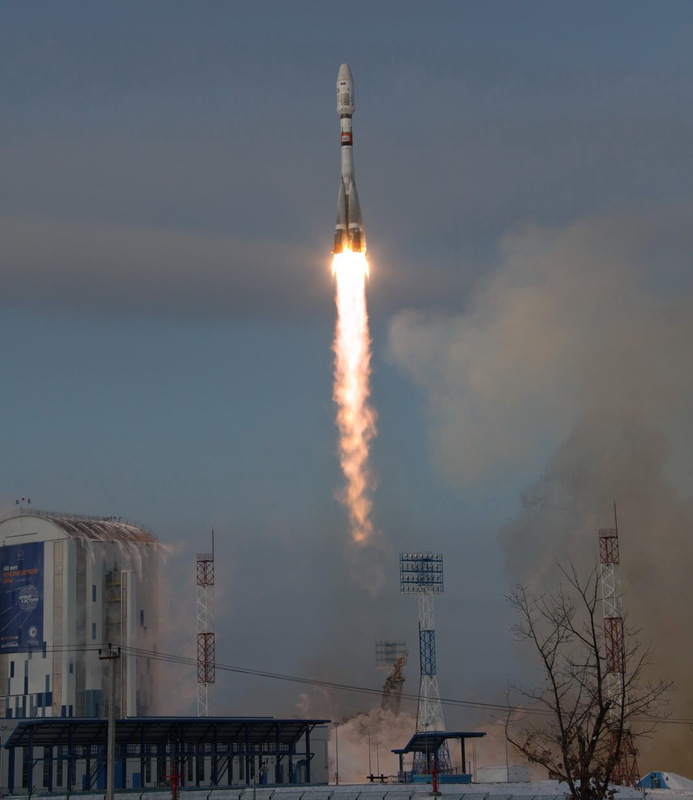 A failed rocket launch from Russia’s new spaceport at Vostochny last month was not in fact caused by an elementary programming error, as recent reports have indicated — or at least that’s what Roscosmos, the country’s space agency, has claimed, contradicting earlier statements made by Deputy Prime Minister Dmitry Rogozin. The November 28 launch was a big one for Russia, with a $45 million weather satellite of its own (Meteor-M No. 2-1) on board, as well as 18 smaller satellites, including U.S. ones, hitching a ride into orbit; SpaceNews lists them here. It was the second launch from the newly built Vostochny launchpad, the last more than a year and a half earlier. But although the launch appeared to proceed nominally, a few hours later Roscosmos issued a notice that it had not been able to contact Meteor-M “due to its absence in the target orbit.” Later the upper stage of the rocket and its payloads were confirmed to have fallen into the Atlantic. But then yesterday Rogozin offered a surprising addendum in an interview aired on the state TV channel Rossiya 24: human error. “The rocket was really programmed as if it was taking off from Baikonur. They didn’t get the coordinates right,” he said, as translated by Reuters. If true, that would be a major embarrassment to the Russian space program — the idea that such an obvious mistake (Baikonur is the country’s primary spaceport in Kazakhstan) could not just be made in the first place, but also fail to be detected and corrected. Perhaps that’s why Roscosmos immediately and strenuously denied Rogozin’s account. The flight task was tested exclusively for the Vostochny Cosmodrome, which was checked by specialists in accordance with existing methods. The reason for the accident is a combination of several factors at the Vostochny Cosmodrome… [that are] impossible to detect by any existing mathematical models. In other words, space is hard, but we’re not stupid. And really, the notion that an agency with dozens of recent successful launches would fail in such a basic way just doesn’t hold water. All kinds of math wouldn’t add up. Nevertheless, the failure is a high-profile blow both to the credibility of the agency (contradictory stories like this never look good) and its perceived reliability — critical at a time when private alternatives like SpaceX are gearing up to compete directly with Russia’s lucrative launch business.